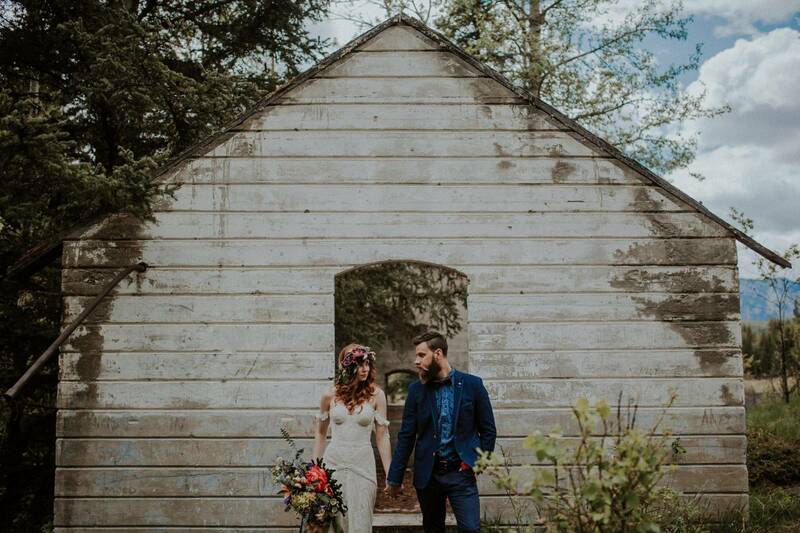 As a Calgary makeup artist we love working with the talented photographers, designers, planners, florists and more that breathe creativity and are passionate about weddings and their art. 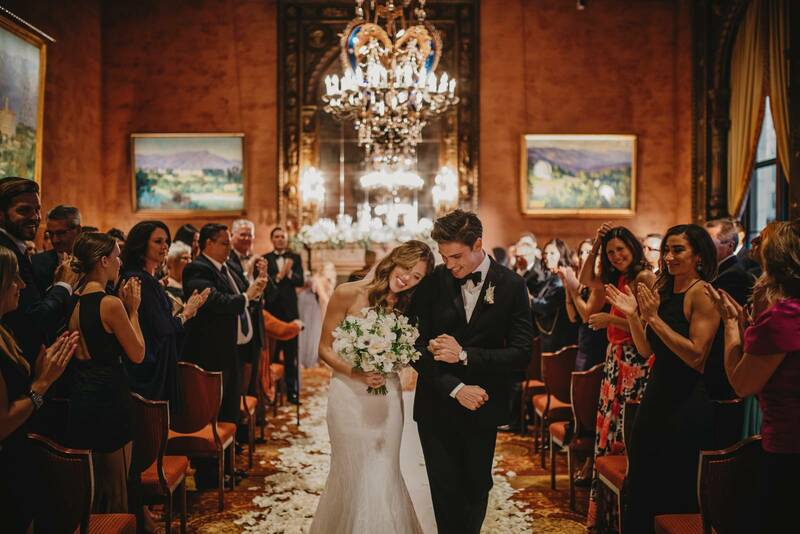 Many of these photographers are recognized around the globe for their skills and attract clients from all over the world. 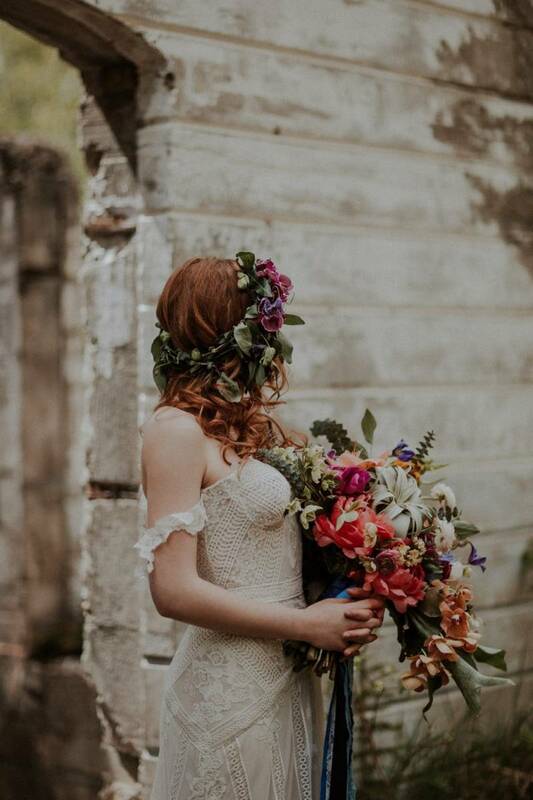 This past year, a group of these talented photographers hosted an amazing work shop, We Three Workshops, and The Pretty Haus was brought on to create all of the hair and makeup. 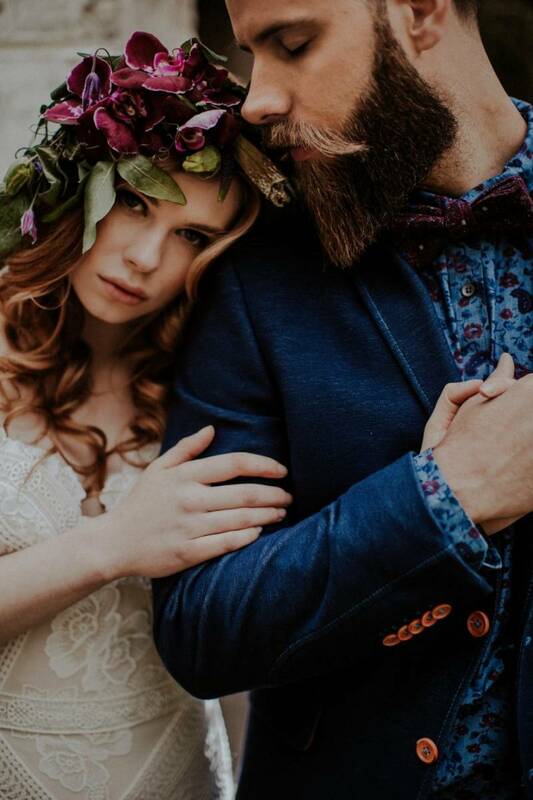 We were honoured to work with everyone on this team and excited to see the images featured on Green Wedding Shoes earlier this summer. 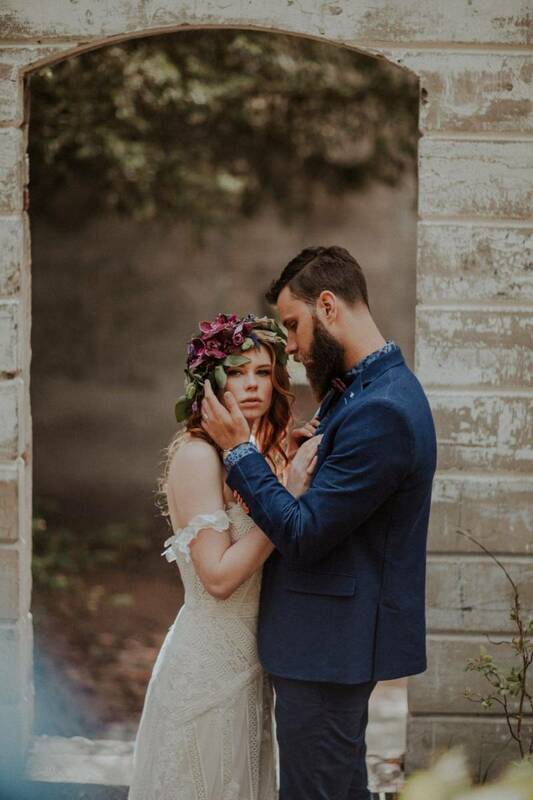 The workshop was filled with the prettiest moody and bold details like exotic florals, lace, dark jewel tones and geometric accents. With all of the rich colours and details we knew the model had to keep her makeup looking natural but equally gorgeous. Our Calgary makeup team knew just what to do to shape this look; working with warm, neutral tones we created a look that was sultry but natural. 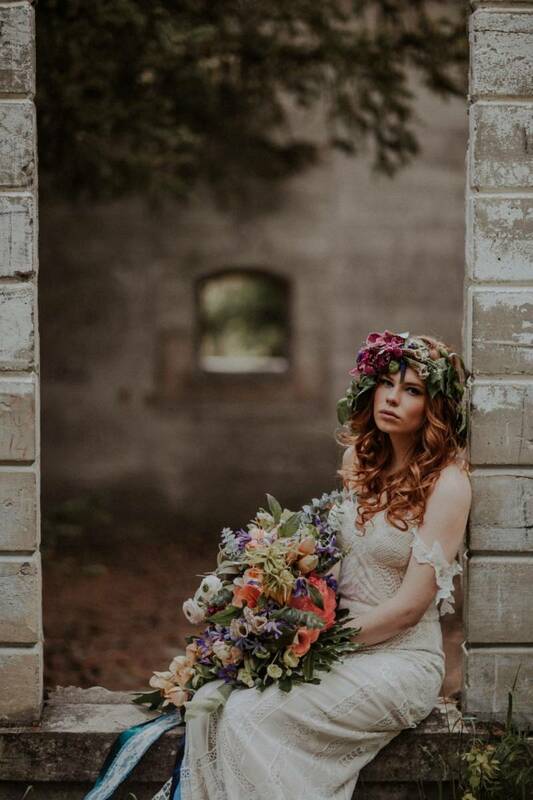 We also created a luxurious bohemian hairstyle for the model with large, voluminous curls that flowed beneath the oversized flower crown. GET IN TOUCH WITH US TODAY HERE!  NextAnnouncing The Pretty Haus Toronto!